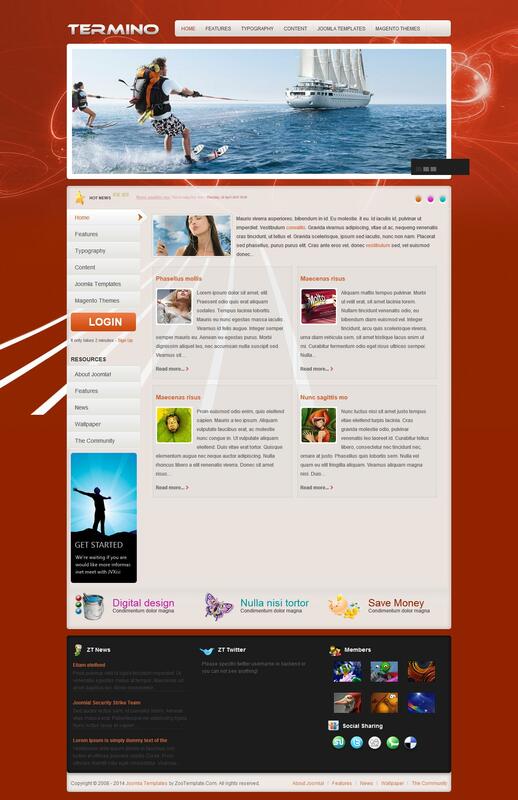 JV Termino - Colorful template for CMS Joomla from the development team ZooTemplate. This pattern is characterized by having a simple and elegant design combined with flexible functionality, which allows you to create a website. Design pattern is presented in bright colors including orange, purple and blue hues combined with flexible lines, perfectly suitable for artworks to display or highlight their individuality. The combination of these elements is capable to leave only a good impression of this site. Availability of optimized code for search engines and support for mobile devices complement the huge list of features of the template.